When you and your group have been walking for many years it sometimes a problem to go to somewhere that you have not visited before, whilst at the same time it can be resolved by revisiting a walk done many years previously, some of which has no doubt been forgotten over the intervening years! In order to celebrate the long awaited decision of the government to extend both the Lake District National Park and the Yorkshire Dales National Park boundaries we decided to seek out two walks which we thought appropriate. To be fair the Lake District walk was already within the boundaries of the Lake District, albeit at its eastern edge, but the Bannisdale Horseshoe walk taken from his book “The Outlying Fells of Lakeland” had not been walked by us. I do not put route descriptions on walks that are well published, as much of the Lake District is, and indeed do not intend to do this now. However at a distance of 11.5 miles and a comment from Alfred Wainwright that this was the longest and hardest walk in the book proved irresistible! The walk was down as a 7 hours walk and being well into retirement we nevertheless thought it to be exaggerated. Whilst we did not hurry over the route his timing was correct but for lovers of wide open spaces this was a walk to be savoured with extensive views over 360 degrees ranging from the Howgills to the far west of the Lake District. 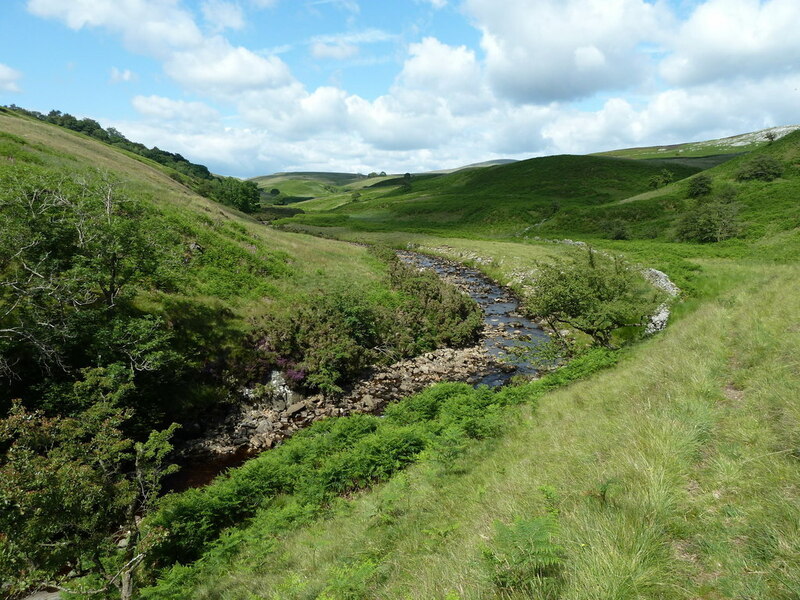 In parts the walk was reminiscent of the Northern Pennines but greatly enhanced by the views, so make sure you pick a day of good visibility to do this walk. Better still also pick a busy weekend as this place will still be lonely. There is no source of drinking water or shelter on the walk, just lots and lots of space. This is well shown on several blogs on the web such as on My Pennines, Striding Edge, Walking Forum and Leaney. 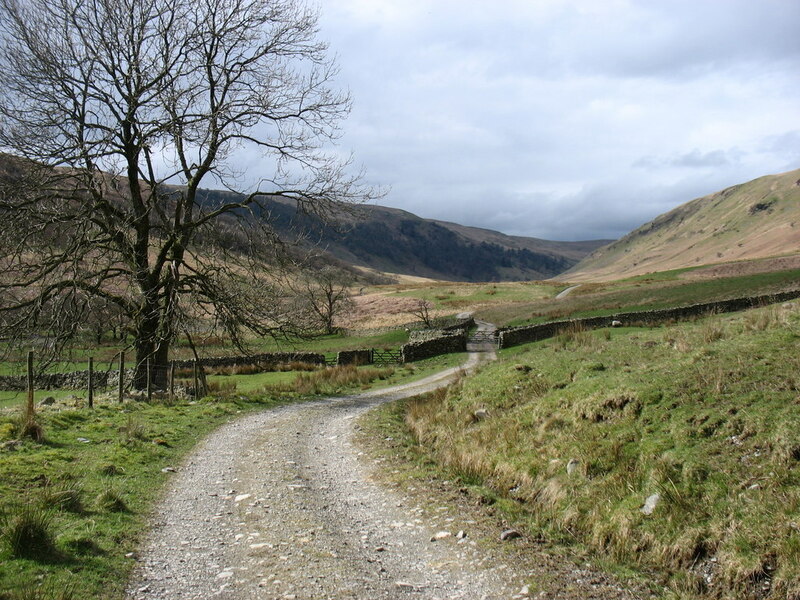 Our walk in the Dales National Park also was in Cumbria, indeed very close to the Lancashire border and was adapted from Wainwright’s “Walks in Limestone Country” and was a combination of Walk 1 (Casterton Fell and Easedale Kirk) and Walk 2 (The Caves and Potholes of Leck Fell). AW makes reference in his second page on Walk 1 that these two can be combined by following the Leck Beck down to Cowan Bridge and in our view this is the preferred option. This makes a 13 mile walk which has great variety. Starting at Casterton with a pull up to Brownthwaite Pike and good views backwards to the Lune Valley and the Lakes, there is then a section over moors to Bullpot Farm followed by a plethora of potholes in the Leck Beck and then a very pleasant walk alongside the beck from Easegill Kirk to Cowan Bridge. There is a minor problem in getting back to Casterton. The footpath from Leck village over Leck Beck and through the grounds of Fairthwaite Park is now closed. Stay on the south bank of Leck Beck to the A65 and very shortly after crossing Leck Beck, and a few yards after passing the entrance to Fairthwaite Park House, look for the permissive path which goes through two fields separated from the road by a hedge to reach the A65 where the original path reached the road. This leaves a short walk alongside the main road before you take the Roman Road here called Long Level back to Casterton and a welcoming pub. This area, along with the northern Howgills deserves National Park status and makes for a cohesive and logical boundary. Do not attempt this walk after flood or a period of heavy rain. The guidebook warns of this and is correct to do so. A few weeks prior to doing this walk two friends were staying in Skipton on a walking holiday and I recommended this book. The contents were much appreciated and after a fair number of years little has changed. To quote AW “this is a part of England that should be better known by walkers who love quiet hills”. This entry was posted on Wednesday, October 19th, 2016 at 2:52 am	and is filed under Other.